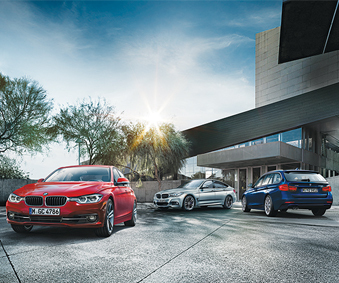 Finding a top car dealer in Hamilton is easy when you choose Budds’ BMW Hamilton. Our dealership and online inventory is packed full of new and pre-owned vehicles that are sure to give the driver an exhilarating experience behind the wheel and turn heads on the road. Whether you are looking for an SUV, coupe, sedan, luxury car, sportscar, or performance car, a top car dealer in Hamilton like Budds’ BMW Hamilton, has got what you need. There are a lot of reasons why we are confident in claiming that we are Hamilton’s number one car dealer, and if you continue reading, you will discover some of those reasons. For one, Budds’ BMW Hamilton takes pride in offering all of our clients the most high quality customer service. From the moment you step foot into the dealership or reach us online, you are treated like a member of our family, and we always put family first. A top car dealer in Hamilton will also provide its customers with not only a facility that houses high quality premium vehicles, but also an online platform where customers can go to get in depth information about those vehicles. Convenience is key, and Budds’ BMW Hamilton can provide that to our customers, and allow them to stay in the comfort of their own homes, while getting relevant and useful information with HD pictures about the vehicles they are interested in. We wouldn’t claim to be the number one top car dealer in Hamilton if we didn’t have the proof to back it up! They say actions speak louder than words, and that holds true to us at Budds’ BMW Hamilton. We are not your everyday run of the mill car dealership in Hamilton. Our vehicles are known around the world as being very high quality driving machines built with quality materials and innovative technology, and when you step foot into a top car dealer in Hamilton like Budds’ BMW Hamilton, the proof is in the pudding. Customer are amazed when they come into our showroom and see the types of vehicles that are stationed there. Vehicles like the 2016 BMW M6 Cabriolet and the 2016 BMW M4 Coupe, which are very powerful sports cars, are just a few of the types of vehicles that you can choose. A top car dealer in Hamilton will have on display their current most popular vehicles and their popular seasonal vehicles, and when you walk into a top car dealer in Hamilton like Budds’ BMW Hamilton, you are entering a museum of excellence. If you are looking for a top car dealer in Hamilton that provides some world class vehicles that are built with high quality materials and innovative technology, then you need to visit us at Budds’ BMW Hamilton. If you would like more information about how we can claim that we are the top car dealer in Hamilton, please feel free to come into our Hamilton dealership and see for yourself, or you can continue to browse through our website. We can also be reached via phone and email for further inquiries.